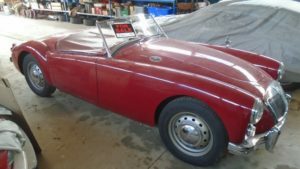 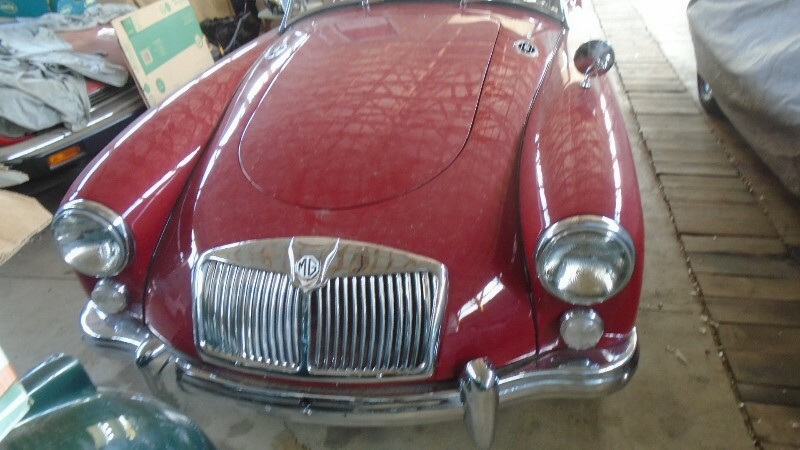 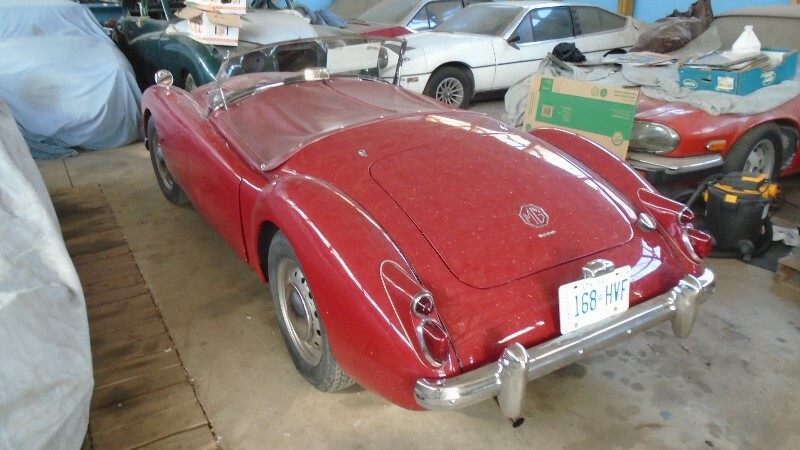 This MGA Tourer has fresh red paint with a red leather interior. 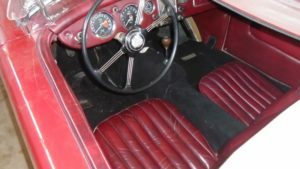 The car has an 1800 CC MGB engine and 4 a speed transmission. The car runs very well. It comes with tonneau and soft top (red) and side curtains.